Please note that this article is for version 2 of the Zoiper softphone. The application has been updated to version 3 and instructions for using that version are available here. This article is for reference only if you have the older version of the program. Zoiper is a softphone avaliable for Windows, Mac and Linux, there is an edition available for free download, together with licensed versions offering enhanced functionality. Firstly you will need to download and install the required version for your operating system. You can download it from here. From this screen you need to click on options - this is denoted by the spanner. 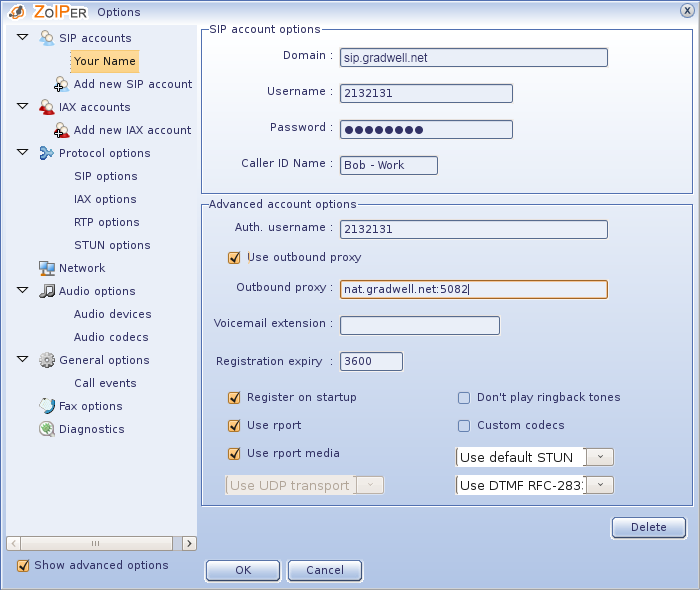 Once you click Add new SIP account Zoiper will ask for a friendly name for the account, for example, you could enter "Gradwell". Click click OK once you have done this. If you are using a public IP you will not need to use the outbound proxy so this may be unticked and direct registration used. However, if you are using a private IP address tick the Use outbound proxy box and enter nat.gradwell.com:5082 in the Outbound proxy field (if you're not sure whether you are using a public or a private IP, use the outbound proxy). Ensure that Use rport and Use rport media are ticked. Once you are happy with the details you have entered, please click OK to save the changes. 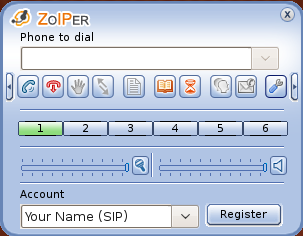 You may now need to click the Register button to instruct Zoiper to register with your service provider. Once registration has been confirmed you should be able to make and receive calls. 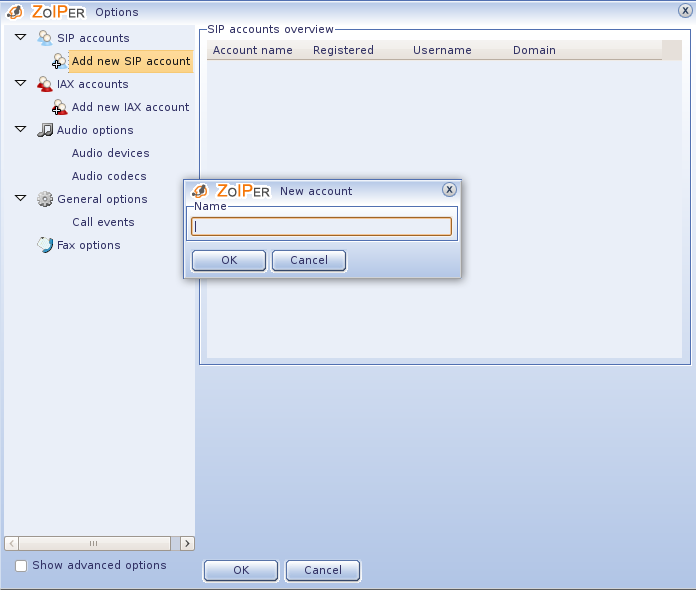 A full guide to using the functionality of Zoiper is attached below.